Every individual today is striving to become outstanding in one way or another. The most commonly employed by individuals in order to stand is through their looks or appearances. The smile is the most significant aspect of your appearance which is why a great majority of individuals are obsessed with the condition of their smile. There are many dental treatments that can be used in altering the appearance of your teeth or creating a complete makeover of your dental health such as by the use of dental implants, dental veneers, dentures, cosmetic dentistry or teeth whitening. At the Smile LA Modern Dentistry, our dentists fully understand that the smile is an integral asset which is located on your face. Our competent dentists Downtown Los Angeles are always ready to cater to our patients for all their dental conditions in the most competent manner. Dental veneers are an ideal way of resolving dental conditions such as chipped teeth, wearing out teeth or stained teeth. Dental veneers can be classified into two based on the materials used to make them. There are resin veneers and porcelain veneers. Our dentistsDowntown Los Angeles have been able to successfully transform the smile of many individuals through the insertion of veneers. We believe that no individual should have to suffer for having a less than perfect smile. If your teeth are stained, wearing out or chipping you need not worry as the Smile LA Modern Dentistry has got you covered. It is very possible for every individual to attain that perfect smile that they always dream of. We are dedicated to turning your dental dreams into a reality. Individuals no longer have to undergo strenuous tasks such as mouth concealing while smiling or laughing while some might decide not to smile or laugh at all. Perfect smiles or having a perfect dental health can greatly boost an individual level of confidence and self-esteem irrespective of their age or social status. Having your dental health restored and your smile gave a makeover is very affordable and economical. The offers given at our dental clinic are extremely irresistible due to their superior quality as well as the impeccable end results achieved. Money or uncertainty should no longer be an excuse for neglecting your dental health. 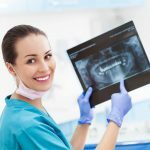 Deciding to get dental treatment is a major step but deciding the dental facility where you want the treatment procedure performed is even more important. The end result of the procedure will be perfect based on the level of excellence in the expertise of the dentist and the presence of a well-equipped laboratory. A thorough consultation and examination need to be done prior to the procedure being performed. The dentist Downtown Los Angeles needs to medically prove that it is possible for the patient to get the treatment they desire and achieve the desired results. It is only after the consultation and pre-examination that both the doctor and patient can agree on the most suitable treatment procedure. If you are yet to decide on a dental clinic the Smile LA Modern Dentistry is an amazing choice and can easily be contacted by phone, email or through our website.